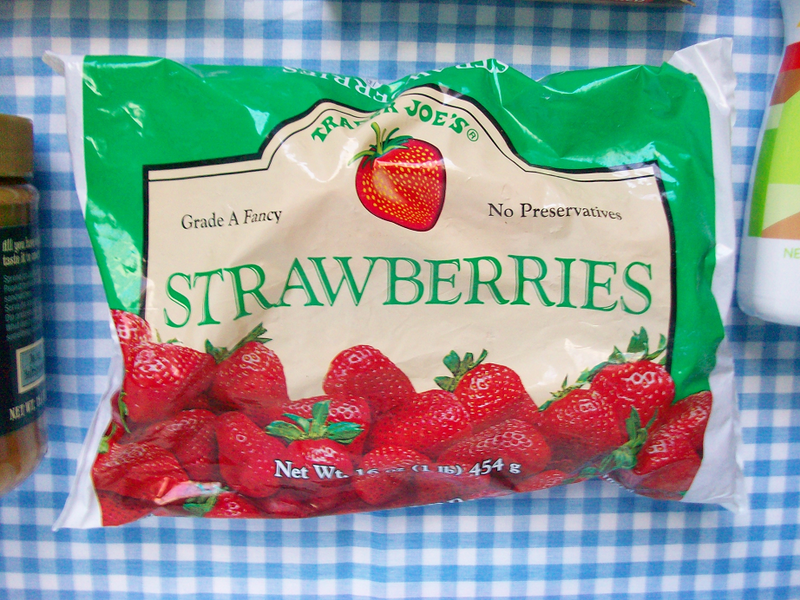 Yesterday we randomly stumbled across a Trader Joe's which surprised me because I didn't know that they had them here where I live. I bought a few interesting things so I thought I would share them with you guys. Let me know if you guys would like to see more of these random food posts because I really like making them! 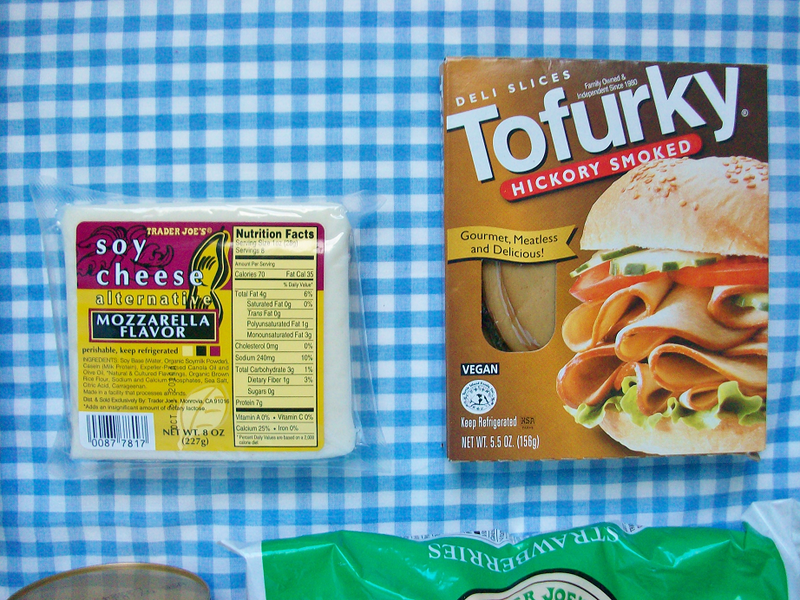 I picked up some soy mozzarella and Tofurky slices to make some sandwiches. 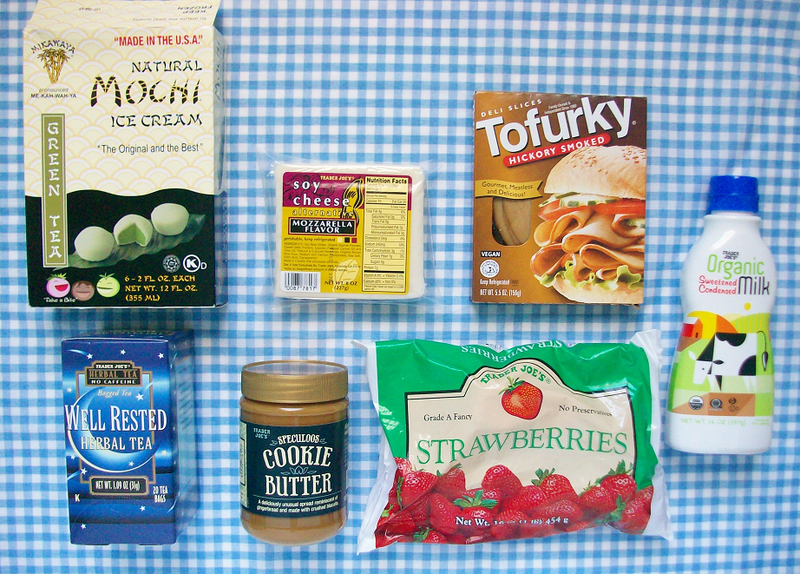 I've only tried soy cheese once before and hated the taste but hopefully these taste different. 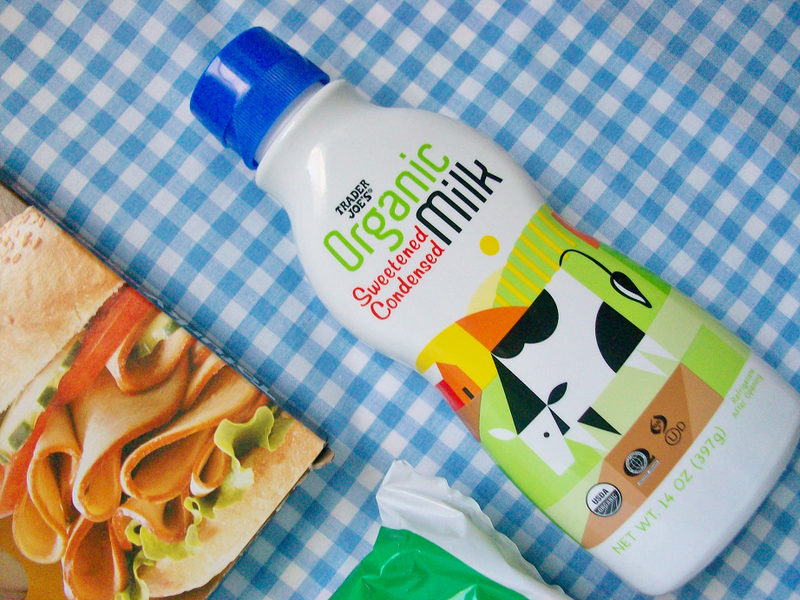 I bought some Organic Sweetened Condensed Milk to make some yummy drinks with. Not gonna lie the bottle of this kind of sucked me into buying it (I have a thing for cows). These two items are the two that I'm most excited to try. I have trouble sleeping so hopefully this Well Rested Herbal Tea will make me sleepy at night. 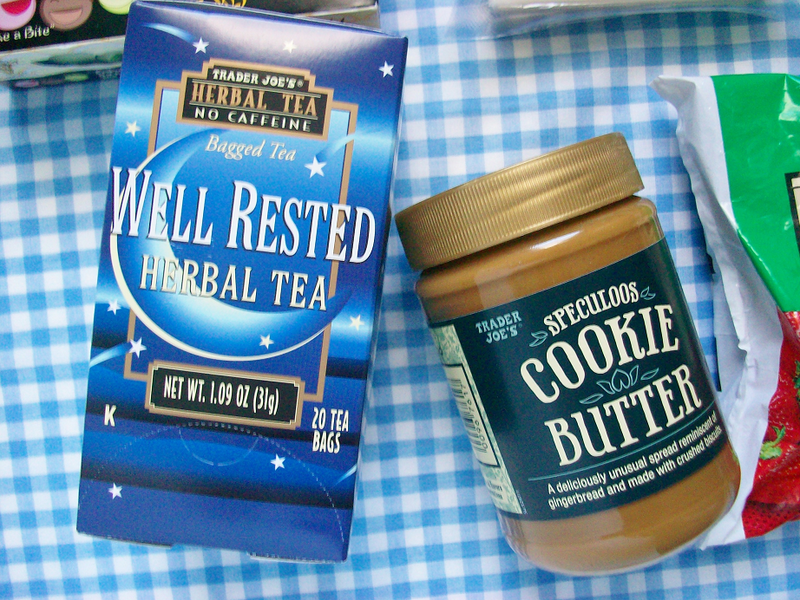 I also finally got my hands on some Cookie Butter! 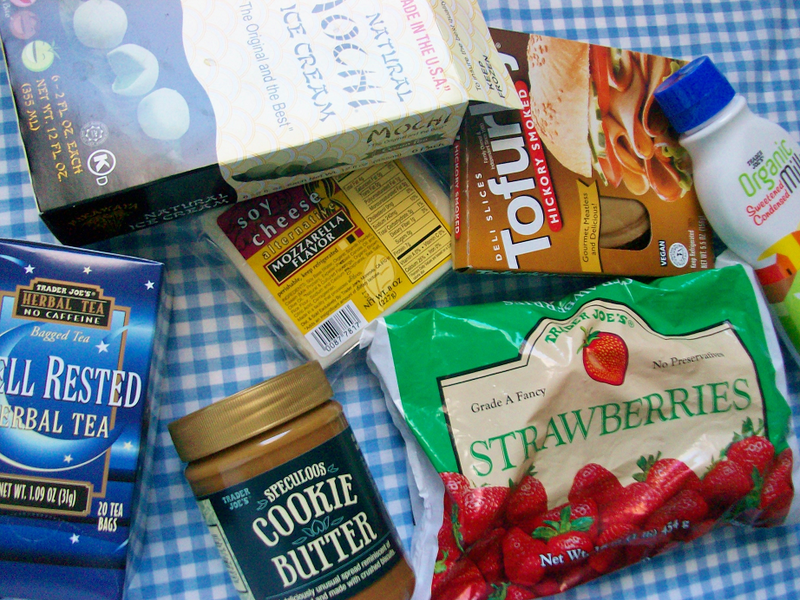 I heard of cookie butter but they only sell it at Trader Joe's so I thought I could never try it...until now! Another thing I am pretty excited to try are these Mochi Ice Cream things. 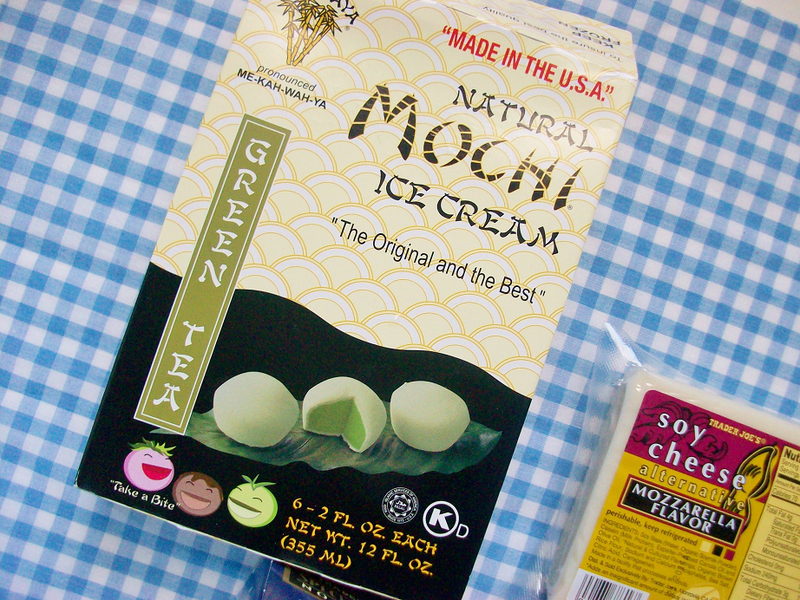 I am a fan of mochi, ice cream, and green tea so I'm excited to taste these.